Chinese smartphone maker Xiaomi is one of the best selling smartphone makers in China, and it’s also the fourth best selling smartphone company in the world, right up there with Samsung, Apple, (local Chinese rivals) Lenovo, and Huawei. Xiaomi has made their money and fame by selling high quality handsets and devices at budget prices, helping those who are cost-conservative get a real technical bang for their buck. It’s this strategy that got everyone excited for the company’s recent presentation, where Xiaomi was expected to announced not just one, but multiple new products for the Chinese market. One of these products is the Xiaomi Redmi Note 3 smartphone. There’s lots to coo over with this device as it offers an aluminum unibody design, with its 120-point ultra-fine double sided sandblasting and curved edges, making the Redmi Note 3 look slick and feel rather nice too. In terms of specs, the device offers a 5.5-inch 1080p HD screen and either 2GB RAM and 16GB storage or 3GB RAM and 32GB storage (it also offers microSD card support of up to 128GB). Moreover, the Xiaomi Redmi Note 3 is powered by an octa-core MediaTek Helio X10 processor, while its 4000mAh offers users around 264 hours of battery life (on standby). 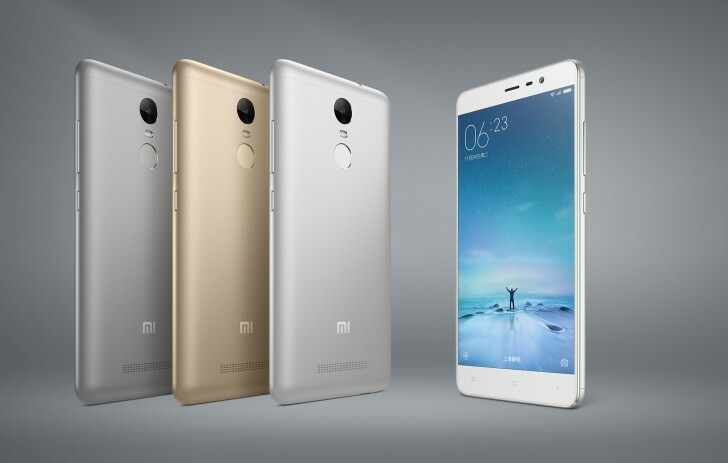 Other important aspects to the Redmi Note 3 are its fingerprint sensor and its cameras. The fingerprint sensor (which sits on the back of the device), Xiaomi says, can unlock the phone in just 0.3 seconds, though this stat has yet to be tested. The cameras, meanwhile, are 5 megapixels (and 1080p) on the front and the rear camera offers 13 megapixels and can shoot video in 1080p HD at 30 frames per second. And finally, pricing: the Xiaomi Redmi Note 3 costs RMB 899 ($140) for the 16GB model and RMB 1099 ($172) for the 32GB model. The phone will be available in silver, gold, and grey. The Xiaomi Mi Pad 2, on the other hand, offers an all aluminum body and a 7.9-inch 2048×1536 resolution display. Much thinner than its predecessor (6.95mm compared to 8.5mm) and coming in champagne gold and dark grey versions, once again Xiaomi has upped the style ante with this device. It’s certainly not style over substance though, as under the hood the Mi Pad 2 features a quad-core Intel Atom X5-Z8500 processor coupled with 2GB of RAM. Other features include its 5 megapixel rear camera, its 8 megapixel front camera, its USB Type-C connector and the 6190mAh battery, which is down from the 6700mAh on the tablet before it. As for release plans, you’ll be glad to know that the Mi Pad 2 is cheap and cheerful as expected; it costs RMB 999 ($156) for the 16GB model and RMB 1299 ($203) for the 64GB model. It’s also important to note that it doesn’t just come in an Android version either, as Xiaomi has announced plans for a Windows 10 Mi Pad 2 as well but unfortunately, it’s only available in the 64GB model.